Pretty safe to assume that you would notice and appreciate an extra $5000 a month in revenue? We thought so. The first step is asking how your car wash equipment can do more for you, and cost less. Let’s start by keeping your chemical costs down. If your automatic car wash isn’t using Gloss Boss Tire Shine, consider what it can do for you. Gloss Boss reduces the waste that you get from costly chemical rub-on tire shining systems. Its chemical application system produces an amazing shine on tires with the lowest possible waste. Tires have always been the showcase point for anyone who is proud of their car. People are investing more money than ever into keeping their tires and rims looking amazing. So establishing yourself as the go-to automatic car wash in the area for people who are serious about their tires, while you’re keeping your costs low can easily translate into an extra $5000.00 per month coming in. 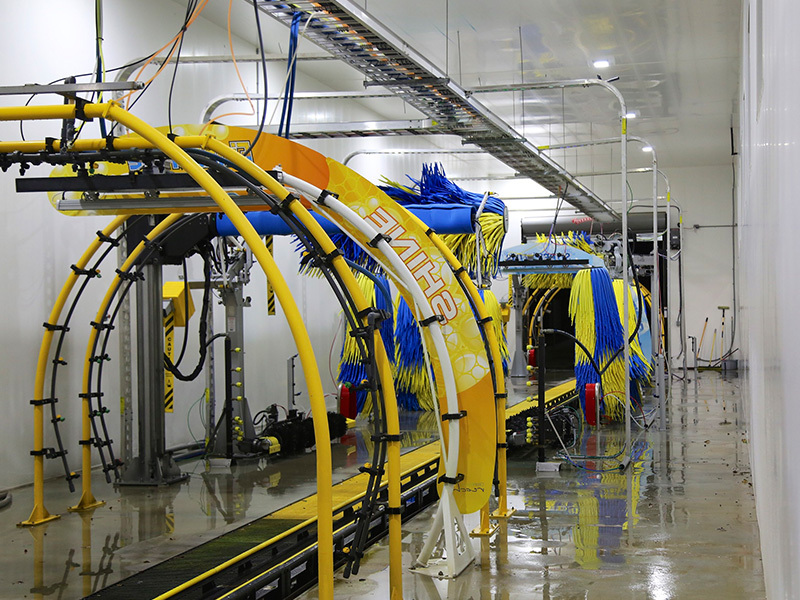 Gloss Boss is ideal for both tunnel and in-bay automatic car washes. It’s also gentle and durable, with a brush life that will take you well beyond 75,000 cars. It’s also easily retro fit into almost any existing automatic cash wash system. It’s inexpensive, quick and easy to add this profit center to your existing car wash equipment. If you have any questions about the Gloss Boss Tire Shine, feel free to contact us.